Dies Irae – want to win a guillotine? – wait what?! Dies Irae is one of the unique anime tv series coming to us in 2017. Think I am exaggerating? wait until you hear about Dies Irae promotion. Dies Irae production to make a give away as part of their public relations. Did they decide to give a shirt, a mobile cover or a coupon? no, they didn’t. 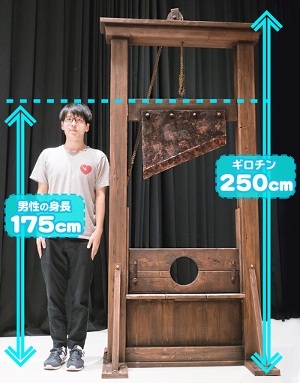 They have decided to give away a full-size guillotine. Yes, they did. The guillotine is made as real as possible but luckily the only part that is not real is the blades. The lucky winner will get the guillotine on a festive ceremony from the lovely hands of the voice actress who make the dubbed for Marie the main female character of Dies Irae anime, Yui Sakakibara. I will bet the guillotine would make a great decoration for your partis although you will have some hard explaining to do when you host a family dinner. If you the lucky one to win Dies irae guillotine please let us know!